Back to the Future — Onstage! London’s fabled West End is about to get retro about the future — because someone has built a musical out of a time machine! 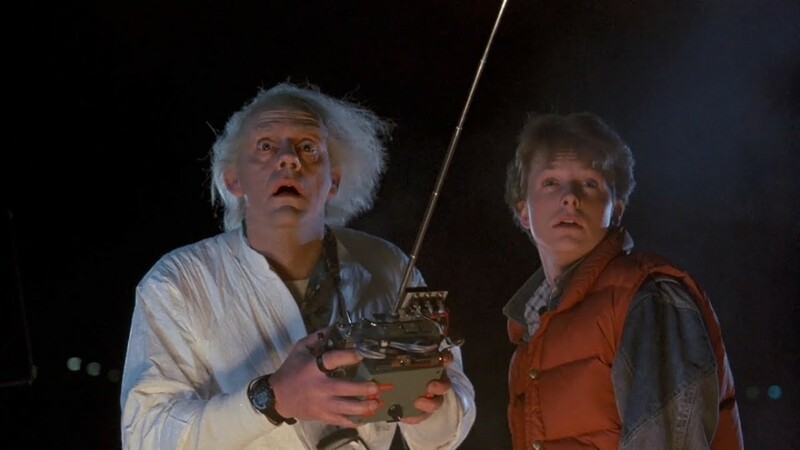 Back to the Future — the Musical will premiere overseas in 2015, and it works out, look for the movie-based production to head to Broadway at approximately 88 mph. No word yet on the cast, but no original actors are likely to make the transatlantic jump to tread the boards. 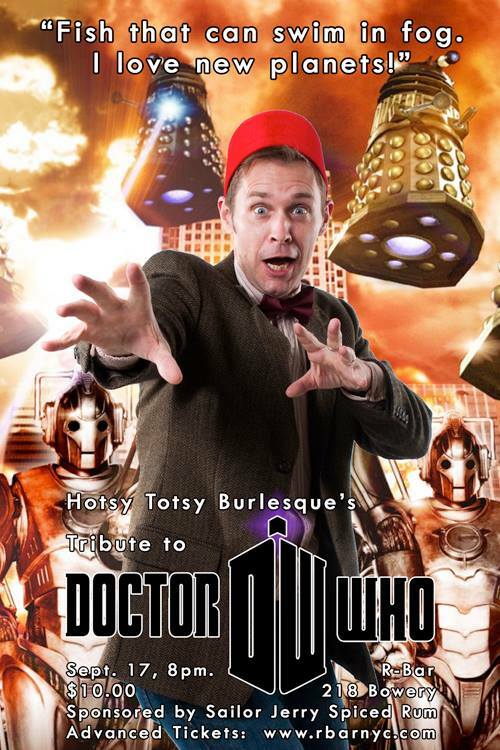 “And now for something completely different.” Those words, from MONTY PYTHON’S FLYING CIRCUS, were certainly appropriate last night in New York City, when I attended a rather unusual homage to DOCTOR WHO: a burlesque show with acts based on the Doctor and his friends and enemies. Performed by the Hotsy Totsy Burlesque troupe and staged at Rbar NYC on Bowery Street in Lower Manhattan, this was a fine example of modern burlesque — which is never to be confused with mere stripping. Burlesque is the art of the tease and celebrates dancing, athleticism, costuming… and suggestion. Nobody got naked; everyone wore pasties (including the guys). This show was about titillation — and everyone’s favorite Time Lord.